Modes of coral disease transmission: how do diseases spread between individuals and among populations? 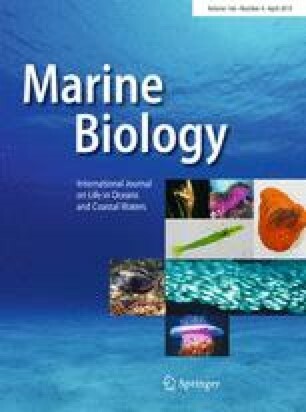 Coral disease is considered an important factor in the recent decline of coral reefs worldwide; yet transmission, a critical factor for understanding disease ecology, identifying at-risk individuals and populations, and developing management options, is understudied in coral disease research. Here, we review techniques for investigating coral disease transmission using laboratory and field experiments, and modeling analyzes, and highlight how these approaches can improve our understanding of disease ecology. We summarize current knowledge about three hypothesized modes of coral disease transmission: direct contact, water borne, and vector-borne transmission. We also discuss the key challenge in studying disease transmission, which is unknown or complex etiology. Finally, we suggest potential management strategies that may result from a better understanding of coral disease transmission. Reviewed by L. Raymundo, J. Olson and an undisclosed expert. The online version of this article ( https://doi.org/10.1007/s00227-019-3490-8) contains supplementary material, which is available to authorized users. A. Shore was supported by a Grant from the National Institutes of Standards and Technology (0010509) and by the Rice Academy Postdoctoral Fellowship Program. J. Caldwell was supported by the Stanford University Woods Institute for the Environment, Environmental Ventures Program, and by a grant through the NASA Ecological Forecasting Program (NNX17AI21G). A. Shore declares no conflict of interest. J. M. Caldwell declares no conflict of interest. This article does not any contain studies with human participants or animals performed by any of the authors.